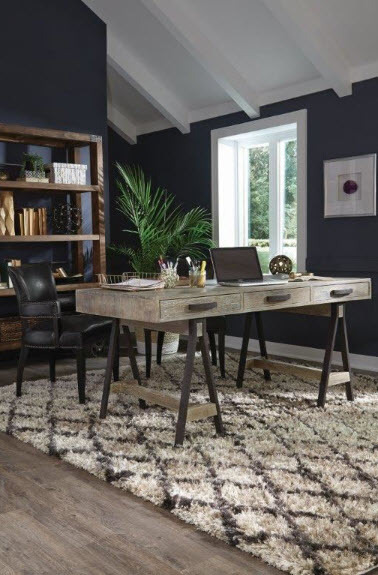 The Rustic Sawhorse Desk features a natural finish that adds a rustic charm to this modern desk. Functional with three drawers this desk is ideal for storage needs and a metal trestle-style base. Our desk is a chic and multi-functional addition to any well-appointed home office. Handcrafted of pine in a hand-distressed finish, it is full of natural character. Generous desktop space and three drawers facilitate the timely completion of any office tasks. Free delivery is curbside/front door. Assembly required.